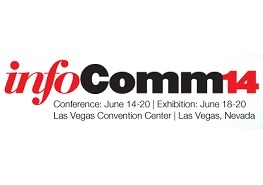 Venue Address: Las Vegas Convention Center , U.S.A.
InfoComm 2014 is the largest professional AV show in the world, with more than 950 exhibitors and 35,000+ attendees from over 110 countries. This is your once-a-year opportunity to see the latest audiovisual technology, learn the skills that will advance your career, and grow your professional network. You'll also explore all of the components to put your systems together: from the right screens and mounts, racks and cabinets, consoles and furniture, lecterns and cases, to cables and connectors for every situation. And don't overlook critical “glue” components, such as scalers and matrix switchers, signal interfacing and distribution, control systems and networking.